Open 5:30 a.m. to 8:30 p.m. by appointment. See class schedule for details. Walk in the door and you will know this is not a typical “gym.” Fit Central is Columbia’s first facility that offers only small-group personal training and private classes. No weight machines, treadmills, tracks, pools, or courts… just focused training. Our gym is dedicated to our members and their personal fitness journey. Here, you will find a variety of classes at times to suit your schedule, along with small-group personal training, at a fraction of the cost of other gyms in town. From low impact to high cardio to strength building, slow to fast-paced…there is a perfect “fit” for you. 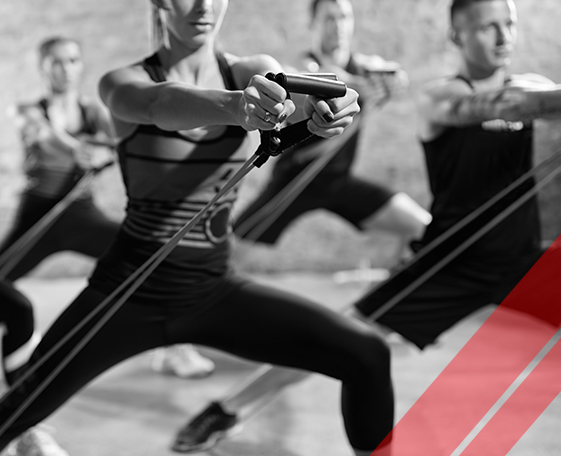 We offer a variety of classes including Les Mills programs, Zumba, Yoga, and Barre. In addition, our Functional Fitness class will appeal to those who are just starting out in fitness, prefer a lower intensity, or need a "bridge" to a higher level. We periodically add new classes to the schedule based on popularity and fitness trends. Click below to find out more! Our facility offers energetic, motivating instructors who are some of the best in the business. Everyone can benefit from one of these classes no matter what age or fitness level they are at. Those who choose to exercise have a common purpose or goal to be the very best they can be. The objective of Fit Central is to encourage, inspire and support each and every member to achieve that goal. We have a wide variety of classes that appeal to everyone. You can find anything from low intensity workouts to high intensity. Check out our class schedule for a time that works for you! We have many flexible membership plans. Come and enjoy a membership for a year or unlimited classes for a week or up to three months.